The Canadian Interactive Alliance / L ‘Alliance Interactive Canadienne (CIAIC) is a not-for-profit trade association formed in 2005 to serve as the voice of Canada’s interactive digital media industry. Comprised of more than 3,000 companies and employing 50,000 Canadians, the interactive media industry generates over $4 billion in annual revenue. 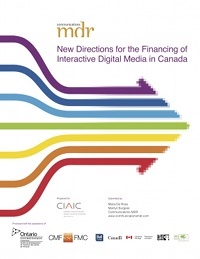 CIAIC’s membership is comprised of Canada’s seven existing provincial interactive digital media trade organizations.